As autumn is here and the weather is getting colder I thought I’d share with you my autumn essentials and why I need them. I hope you enjoy reading this post as I love reading/watching what everyone else’s autumn essentials are. 1// Baylis & Harding Midnight Fig & Pomegranate Body Lotion – House of Fraser. I received this Baylis&harding gift set on my birthday and I’ve recently got round to using it and honestly this body lotion smells divine I love the feel of it on my skin as its just so light and easily absorbed which I love the most because I hate body lotion which takes ages to absorb. 2// Baylis & Harding Midnight Fig & Pomegranate Bath Crystals – House of Fraser. This also came within the gift; these bath crystals are so soothing to relax with in a nice warm bath the aroma is perfect after a tiring day it helps calm you right down I love them. 3// Makeup Revolution Lipstick Shade: Rebel with Cause – Superdrug. As I’m not to keen on dark lip colours I bought 2 make-up revolution lipsticks to try and once I tried them I was like why I haven’t I tried these before as dark colour lipsticks compliment autumn so well and look stunning. 4// Makeup Revolution Lipstick Shade: Reckless – Superdrug. Again, I went for a burgundy colour sticking with the autumn theme and this looks so nice on and it’s only £1!! You really can’t go wrong. 5// Batiste Dry Shampoo Floral&Flirty – Superdrug. On to my favourite thing ever – Batiste dry Shampoo I love this with all my heart I honestly spend so much on dry shampoo but its worth every penny its so easy to apply to add that extra volume to your hair and especially when your having a bit of a late day and don’t want to wash your hair (which is most days in autumn am I right?) its perfect! 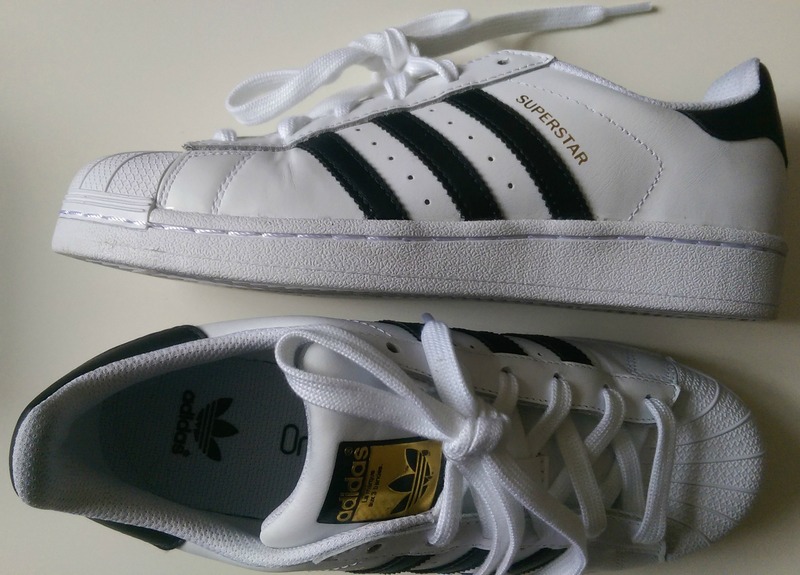 6// Adidas Superstars – Adidas Originals. I am most excited to tell you about these beauties! I treated myself to these for my 17th and I couldn’t be happier. They’re so comfy they look so cool on and can dress up and down any outfit. For autumn I think its essential to have a comfy pair of trainers and these are mine. 7// Selfie Beanie – New Look. I purchased both this beanie and the one below last year and I’ve loved them ever since. I’ve had to dig them out again because its getting colder. They look so vibrant on and keep you warms so its definitely an essential. 8// New York Beanie – River Island. Again, its exactly the same its so comfy and you can style it with any outfit and hairstyle. 9// Burgundy Check Scarf – Primark. Lastly, I purchased this scarf a few weeks ago and I’ve been wearing this quite frequently and I’ve got so many compliments as it just look so classy and its so so warm!! You wouldn’t think its from primark as its super good quality. I hope you enjoyed reading this post. What’s are your autumn essentials? Comment below. « *Cherish what you love with Cheerz!